Showing 1 - 15 of 95 articles tagged "The Handmaid's Tale"
Episodes 1-10 of Season 2 were eligible for the 2018 Emmys. The Hulu series is spending all day Friday at the National Mall with a massive shoot. The new Season 3 teaser is four times the length of the teaser released earlier last week. This will be the third consecutive year that the streaming service has run a commercial during the Super Bowl. Happy! star Meloni will guest as Commander Winslow on Season 3 of the Hulu series. 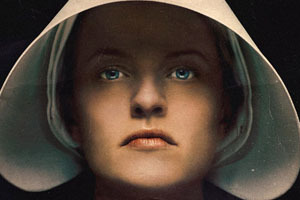 The Handmaid’s Tale, Barry and The Kominsky Method followed are tied with three nominations each. Titled The Testaments, Atwood's Handmaid's Tale follow-up is scheduled to be released in September 2019. "My heart has been stolen!" The Handmaid's Tale star wrote on Instagram of her first child, a boy. He'll become a series regular in Season 3 after appearing in two Season 2 episodes.